AMOZOC, Mexico (RNS) — It’s known as the town of the Nativities, or los nacimientos. 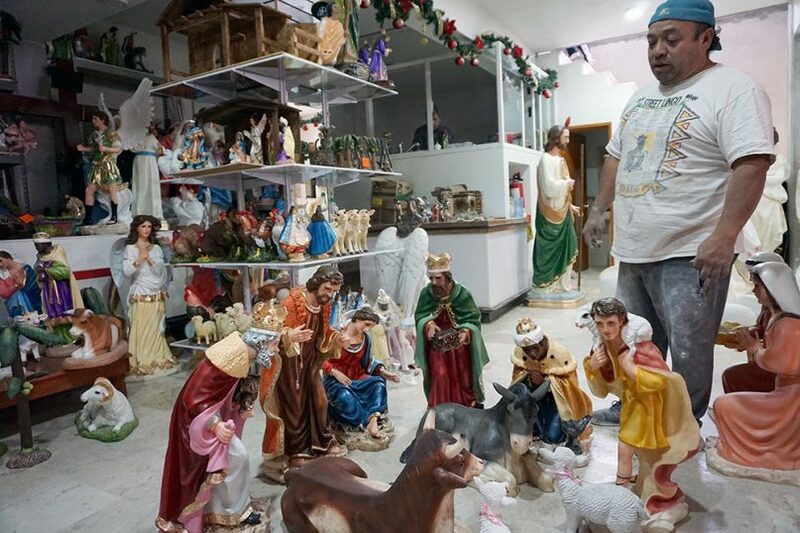 For more than a century, Amozoc, in central Mexico, has been the home of craftsmen skilled in creating religious figurines, who have passed their skills down through generations. But the industry has undergone tremendous change in the past decade, due to competition from Asian imports and the increased cost of materials. Out of the roughly 600 families that once produced Christian figurines in Amozoc, only 200 families remain.